Mason McDuffie | 8x8, Inc. When Mason-McDuffie Mortgage Corporation in San Ramon, California, started having issues with its old VoIP provider, its senior VP of IT realized he had to act fast. After extensive research and analysis, he turned to 8x8 Virtual Office business phone service. 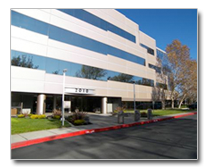 Jason Frazier, Sr. Vice President of Prime Services at Mason-McDuffie Mortgage Corporation in San Ramon, California, is no stranger to VoIP services. Before joining Mason-McDuffie full time in 2009, he spent several years managing IT at Clarium Capital Management LLC, a global macro hedge fund. As Sr. Vice President of IT and Security, Frazier helped some of Clarium’s portfolio companies evaluate and successfully implement hosted VoIP phone systems. Because of this positive experience with hosted VoIP services, Frazier didn’t hesitate to engage the same VoIP service provider when he moved to Mason-McDuffie, a mortgage company originally founded in 1887 and now co-owned by his family. Mason-McDuffie wanted to take customer service to the next level by completely overhauling their legacy IT infrastructure, including their phone system. “Looking at all the Mason-McDuffie branch offices, I realized that if we switched to hosted VoIP services, we could reduce our telephone costs by up to 60% and get access to more phone features,” he says. “Also, when we needed to get a new branch up and running, we could do it in two weeks instead of two months—with no upfront equipment costs or phone techs required.” Initially, Frazier seemed to duplicate his prior success. “At first our VoIP phones worked fine,” Frazier recalls. “Call quality was good, and our costs were coming down. Whenever I needed support, the account rep was very responsive.” But within 10 months, the situation deteriorated dramatically. Frazier’s due diligence included checking references, online reviews, company financial reports, product features and specifications, available case studies, and better business bureau ratings. Within three days, Jason had honed in on 8x8 for a full evaluation. In his blog, he noted these selling points as being key to his decision. Support – Support hours are 5am – 9pm PST, which is far greater than what my previous service provider offered. The response I have received thus far has been awesome. I also like the fact that their support is California based. I have a personal Account Rep with 8x8 that I can contact at any time. And because I am a larger account, I also have a personal support team that I can call directly. 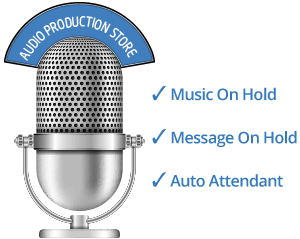 Technology – 8x8 has HD Audio, quality phones, and they own/operate the technology backed by patents. There are also many more features that are provided that my previous service provider doesn’t even come close to. 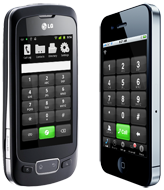 Phone Exchange Program – Our current phones will not work with 8x8. However, they provide a generous trade-in program that enabled us to exchange our old phones for high-quality Polycom phones that we like much better. References/Reports – 8x8 provided me references who told me what problems they had along with the good. Every provider has issues at one time or another, but the downtime was an absolute minimum. From the people I talked to, including people I found by myself, they were all very happy with the service. 8x8 customer support was rated very high. There was also a very positive independent report published by a company who tested the service. 8x8’s A+ Better Business Bureau rating was also nice to see. Cost – With all the new features, new phones, and better service we will actually be saving money. Company Strength – 8x8 is a public company traded on NASDAQ and they own their own patented technology. They also have reported record revenue results and are financially sound. 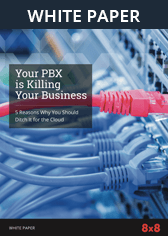 Frazier’s evaluation of 8x8 began in May 2011, and from the get-go he found 8x8 hosted VoIP service to be a huge improvement over his previous service. To start with, installation was extremely easy. “All we had to do was plug in the 8x8 phones and enter an activation code,” he says. “With my previous service provider, we had to log in to the phones and set the time zone. Then I had to create my own dial plan, because if I didn’t, we had to use 10-digit dialing even within the same area code!” Frazier also prefers the new Polycom phones Mason-McDuffie received through 8x8’s phone trade-in program. “The Polycom phones are much better quality than what we had before. 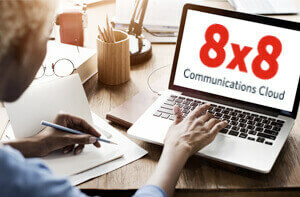 I also like that we can now activate features like call forwarding and call park right from the phone itself, without having to use the web interface.” 8x8’s online dashboard is another major upgrade, according to Frazier. “Before we switched to 8x8, I almost never used the web interface to access phone features because it was so low-tech,” he explains. “8x8’s web control panel has a well-designed user interface that gives me quick access to everything I need. I use it every day.” As an IT professional tasked with enhancing Mason-McDuffie’s customer communications, Frazier considers 8x8’s mobile apps and social media integration to be stand-out features.